Downloading the report as an Excel document in MVC - Fast Reports Inc. 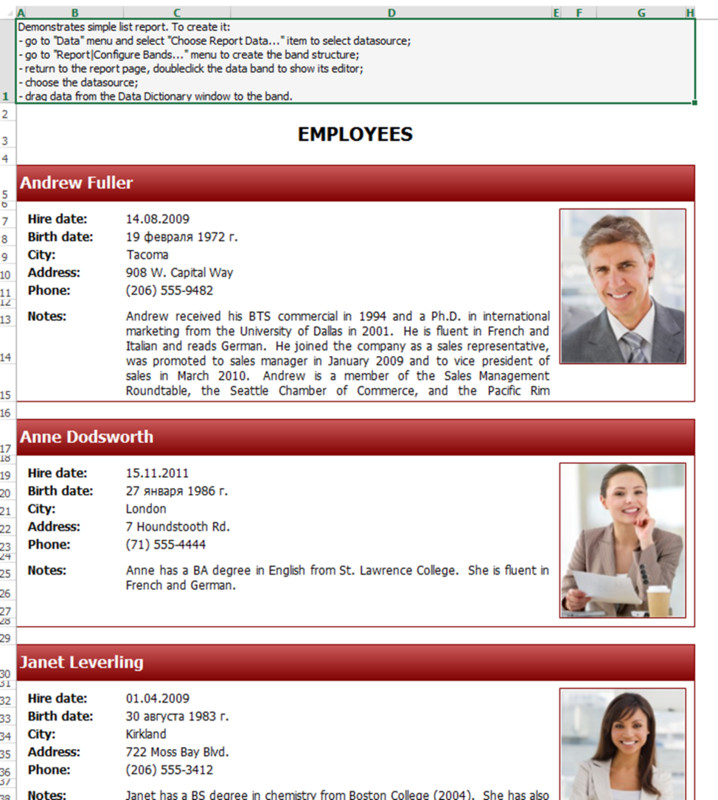 Previously, we already examined an example of displaying a printing dialog of a report in HTML and PDF formats. The aim of this article is to show how to save reports in the desired format, providing an example of Excel. We use the MVC web application. There is a button, which is provided to save a report. Add it to the web page Home. 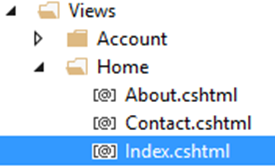 For this, open the Index.cshtml file in the Views folder. There "Save" - is the name of the handler in the controller. "Home" - is the controller. Save the report in Excel format. Click on it. 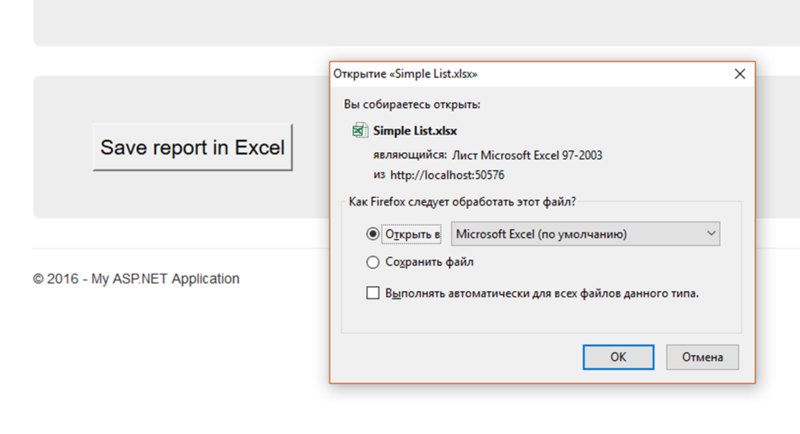 The program will display a dialog to save the report file in xlsx format. Summing up, we can conclude that using the shown application, it is possible to save your report in different formats, available for exporting reports. Using the shown code allows users of the web application to download a report in the desired format without displaying the report itself.